Last year I remember seeing my awesome blogging friend, Ibeeeg, mention that she wanted to write more letters that year. I thought, cool idea, I'm going to do that someday. So this year, I decided, I would give it try. 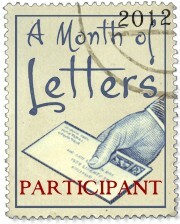 Then, I heard about this event: A Month of Letters, wherein we write a letter a day during February. What a perfect way to get a kick start on this letter writing thing that I wanted to do, yes? And at first I wasn't going to officially sign up, but now, I changed my mind. So sign up I did. And now I need to write lots of letters. I want to write you, yes YOU, a letter (or a postcard, or send you some sort of fun thing in the mail) and if I don't have your address, as in that SNAIL MAIL thing, I can't. So if you'd like me send you something, send me an email with your address (jenstusue AT yahoo) or send me a Twitter DM (@SueySays) with your address and I will gladly add you to my letter writing list. Back in the day, when I was young, I had pen pals. Anyone remember the them? I wrote faithfully for years to a cousin that was a few years older than me. Then my uncle connected me to a girl in Taiwan, and we wrote for years. Then my friend knew some girls in England, and so I wrote to one of them for years. It was a blast. And now all this online connection has taken it's place, and fulfilling the same sort of need in me to connect with people all over the world. Yet, there's just something about writing a letter and mailing it that makes a person feel good... and truly connected. I love the idea. I so enjoyed having penpals when I was a kid. I will send you a letter, even if you are in the same city. No problem. But I don't know your address! How weird is that? Send me an email.. please??? No, not weird at all... because I totally get it. Unless I'm weird too, and that couldn't be, right? Thanks for the email and address! I had penpals too. I had one from France, Germany, Egypt, and three from Indonesia. I wrote the one from France in French and all the others in English. It was a lot of fun. 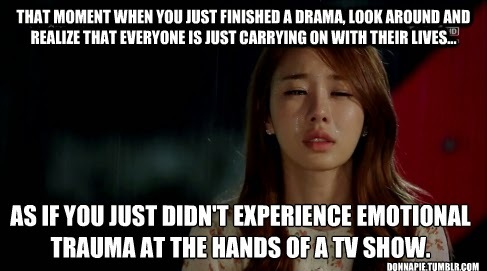 I miss doing that. Wow, cool fun places! How long did you keep writing to them? A long time? I had loads of pen pals growing up and wrote loads of letters. You have given me an idea. I could start writing letters to my granddaughter (even though I see her every day) wouldn't that be wonderful for her to keep? Oh, that is an awesome idea! Go for it! Hey...I have not been to your actual blog in a while. Sorry about that. When did you change the look? I like it. I have missed seeing you here on the blog! Yes, I changed the look, oh a week or so ago. I thought it was a little too bright at first, but it's really growing on me. I should have your address around here somewhere, if not, I'll be bugging you for it! This is an excellent idea! I love sending out postcards to book blogger friends - the last batch that I sent had around 20 postcards in it. I don't think I can write one per day though, I do it in batches because I have to go to the local post office to drop them off. We don't have mailboxes here in Manila. How cool is that! Seriously, I think I could get addicted to this, as long as I collect enough snail mail addresses! I went searching for postcards today and couldn't find any. I was even trying to think like a tourist, but I really didn't want to go to a gas station to shop. The random.org thing sounds fun! I haven't manged to get quite that organized yet. This is such a great idea! I have been seeing it all over the place. :) I will send you my address, I think. Oh, please do send me your address. I was going to beg for it from you especially! :) I'm prepared to send a bunch to Canada even... I've got the right stamps and everything! I not only had a ton of pen pals, I was involved in a pen pal organization that resulted in me getting a ton of "slam" books. You would write your contact info and interests on a page, mail it to your pen pal, who would mail it to hers, etc., and you could write to anyone interesting that you could find! Of course, postage was 15 cents. I do still write a few letters, and do rather miss it. Good luck with your project. I remember trying to get more into the pen pal thing through organizations like you mention, but it never seemed to work out for me. Oh, well. Yeah, postage is a little more these days. Ugh. One downfall to the whole project. This is such a great challenge idea! I know, isn't it though! Wow. You read book and drink good beer AND write letters?! awesome. You're the coolest. This comment has me scratching my head. Very strange, very strange indeed.